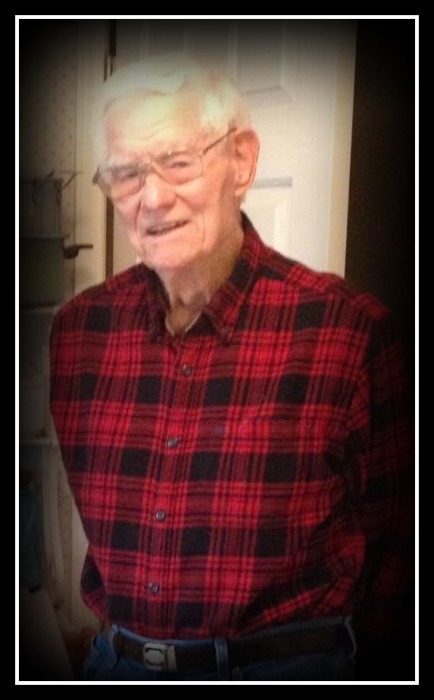 Marvis E. Barrick, Sr., age 94 of Park City, KY , departed this life on Wednesday, March 27, 2019 at his residence. The Barren County native was born on February 14, 1925 to the late Wendell Barrick and the late Virgie Houchens Duvall. He was married to Jane H. Barrick, who survives. Besides his wife, he leaves to honor his memory, three sons, Fred Bullock (Gloria) of Glasgow, Mark Barrick (Marilyn) of Park City and William Barrick (Rubi) of Ft. Myers, FL; one daughter, Ann Young (Joe) of Smiths Grove; two brothers, Joe Duvall (Lou Venia) of Park City and Clifford T. Duvall (Judy) of Park City; one sister, Loretta B. Nelson of Morgantown; four grandchildren, Amanda Bullock Costellow (Mike), Brandon Barrick (Kari) , Audra Barrick Bickford (Ward) and Blake Barrick (Hattie); one step grandchild, Megan Bailey Komar (Josh); two great grandchildren, Joseph Bowden and Luther Brant; one step great grandchild, Bailey Reece. He was preceded in death by his stepfather, Hershel Duvall, one sister and one brother. Interment will be in Merry Oaks Cemetery with military honors by the Barren County DAV.